Great location and the breakfast was Fantastic!!!! Bed was very comfortable also. Manager quite helpful too. Staff overall was very good. The location was great. A super short walk to everywhere. Facilities were nice and clean. The staff was very helpful. Check in was quick and easy. My kids enjoyed staying in the bunkbeds. Breakfast was quick and easy and filling. Great breakfast, although expensive (€20 pp). Perfect location. Great location and staff. Just a three minute walk to the beach.....great value for the money. Location, friendly staff, very affordable, good choice at the breakfast buffet. Close to the beach, fireworks at midnight, shopping. The hotel had a private car park. Very good breakfast. Very kind personnel. THE WHOLE BREAKFAST EXPERIENCE WAS VERY PLEASANT AND THE BUILDING INTERIOR WAS LOVELY AS WERE THE STAFF. 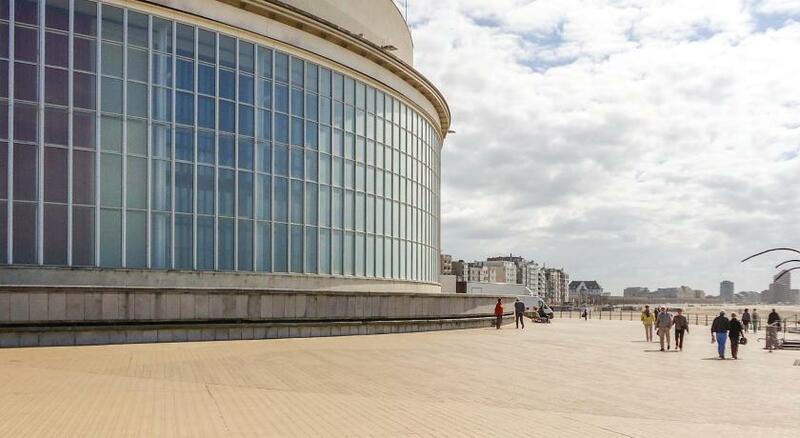 One of our top picks in Ostend.Mercure Oostende is located only 800 feet from the sandy beach. This hotel benefits from free WiFi and offers guests free entry to Casino Ostende as well as free access to external fitness facilities. 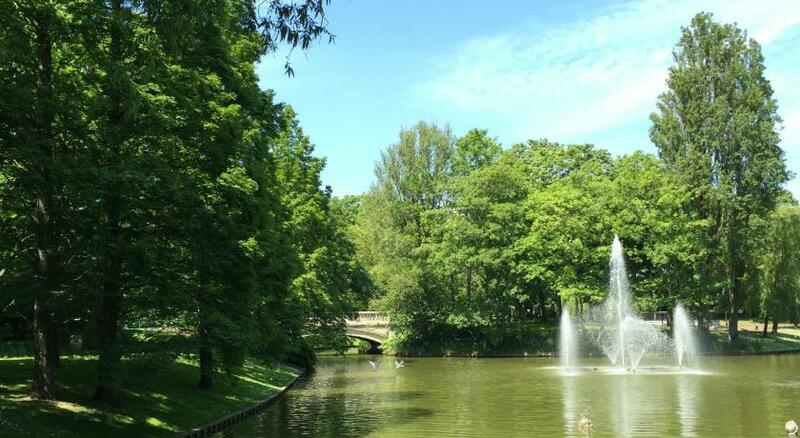 Bruges, featuring historic sights including the Belfort and Gruut Huys Museum, is only 30 minutes' drive away. The center of De Haan is less than 20 minutes from Mercure Oostende. 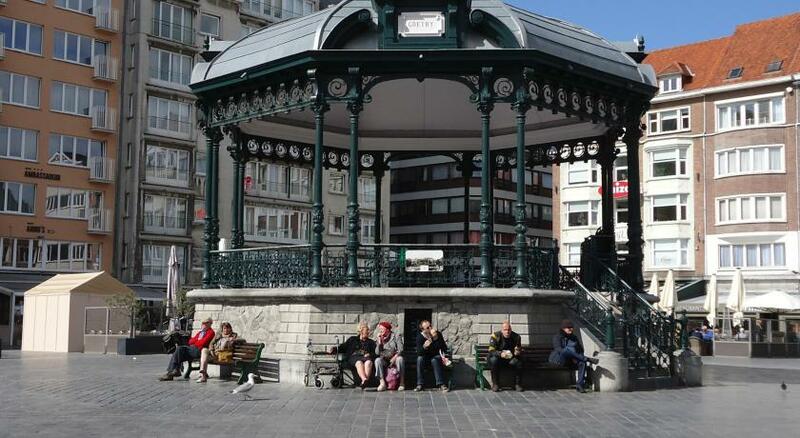 Oostende Center is a great choice for travelers interested in restaurants, food and shopping. When would you like to stay at Mercure Oostende? This twin room features a electric kettle, mini-bar and view. This family room features air conditioning, electric kettle and mini-bar. Mercure Oostende, Committed to ensuring your complete satisfaction. We created the Mercure Quality guarantee to ensure the same high level of quality and service throughout our extensive network. 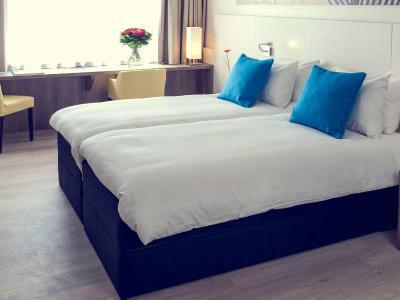 House Rules Mercure Oostende takes special requests – add in the next step! Mercure Oostende accepts these cards and reserves the right to temporarily hold an amount prior to arrival. If you would like to request an extra bed please notify the hotel of that person's age so that the right bed can be provided. Extremely thin walls, very noisy, tiny bathroom, unpleasant smell, could have been cleaner. 1 lift far too small for the number of people staying at the hotel- took me 10 minutes in the morning to get from my room on the 8th floor to reception! Cleaners trolley left right outside my room making it difficult to get to the lift! Staff was not so kind this time as the previous one. We booked a family room with 4 beds for 2 nights. The room was situated above the entrance where flags were placed above the entrance doors. Due to the strong wind metal parts from the flag cords were hitting the posts resulting in a lot of noise which prevented us from sleeping. The personnel told us they could not do anything about it while it would be easy to fix those metals parts. They even responded that it were probably the flags from across the street. The matrasses of the beds were very hard and there was no doing up of the beds in between the days. As my husband fall from the stairs near te front desk (carrying bags down) staff didn’t botter asking if he was OK or help but were clearly amused with the ‘silly fall’. If we looked out the window, we saw a wall and works. That was very disappointing. THE ONLY THING WE DID NOT QUITE LIKE WAS THE MATTRESS AND THE PILLOWS ON THE BED, BEING A FOAM MATTRESS IS WAS A LITTLE UNCOMFORTABLE AND THE PILLOWS WERE LIKE ROCKS, ALSO COULD HAVE DONE WITH SOME DRAW SPACE IN THE ROOMS FOR SMALLS ETC.